Life's Journey To Perfection: 2017 LDS Sharing Time Ideas for May Week 4: When I take the sacrament I renew my baptismal covenants. 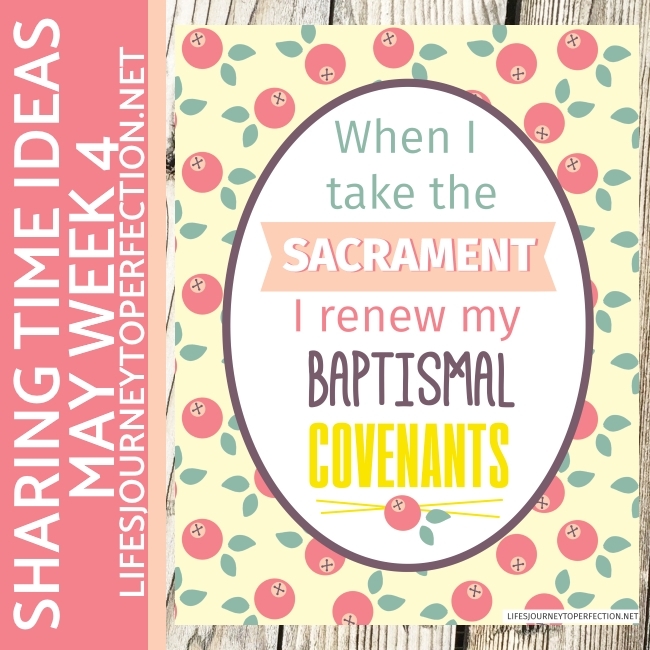 2017 LDS Sharing Time Ideas for May Week 4: When I take the sacrament I renew my baptismal covenants. 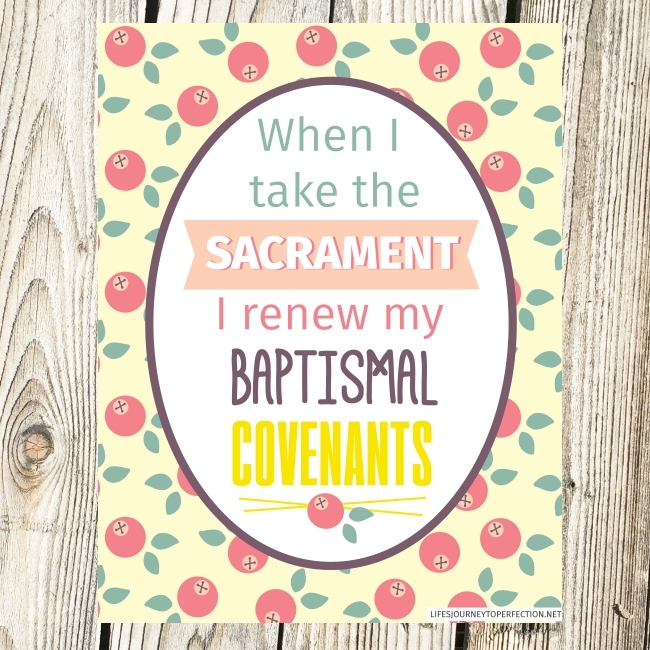 May Week 4 Topic: When I take the sacrament I renew my baptismal covenants. 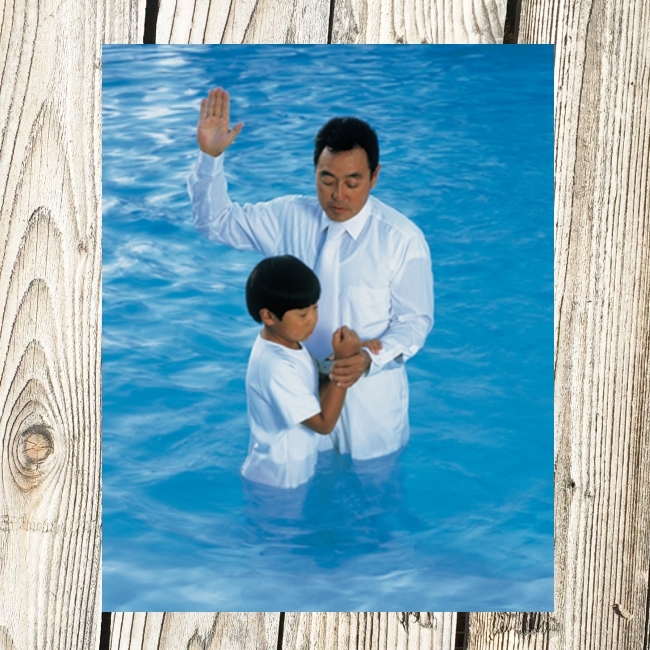 Begin Sharing Time by showing the primary children a picture of a child's baptism. Explain to the primary children that when they are baptized they make a covenant with Heavenly Father. Ask the primary children if they know what a covenant is? Explain that it is a two way promise. We promise to do something and if we keep our promise than Heavenly Father promises something too. 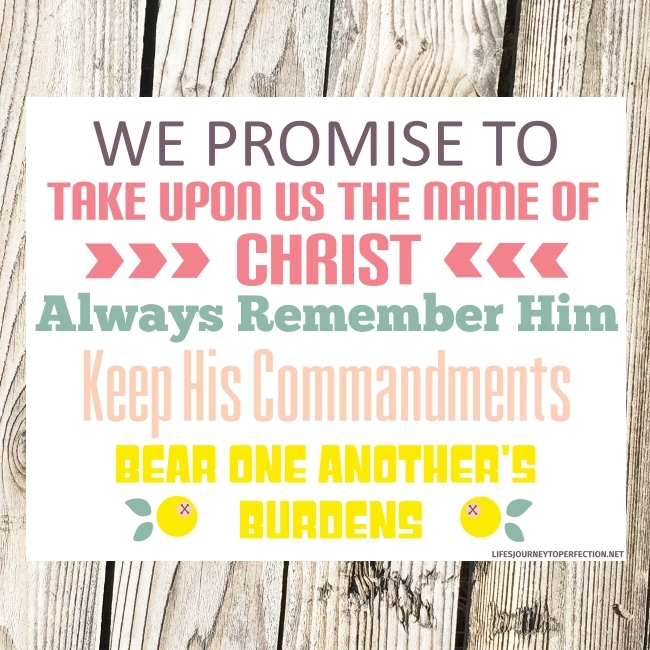 Invite a primary child to come up and hold the sign that says, "We promise to Take upon us the name of Christ; Always Remember Him; Keep His Commandments; Bear one another's Burdens. 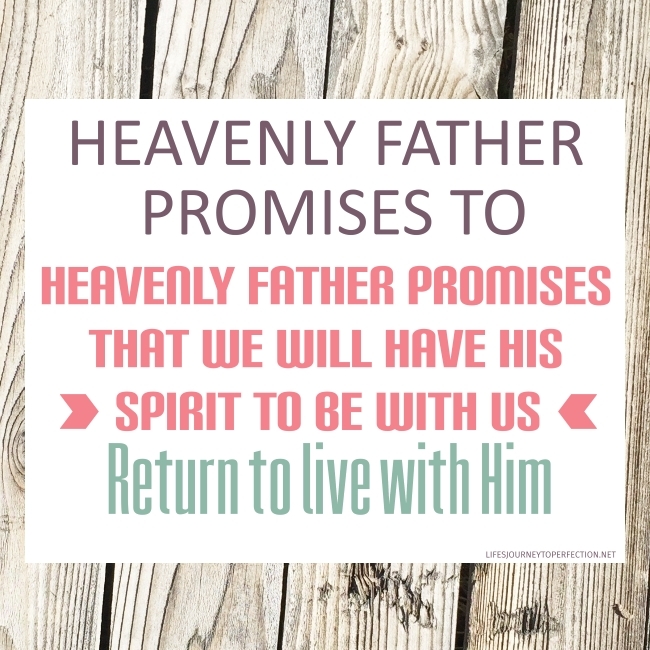 Invite another Primary child to hold the sign that says, "Heavenly Father promises that we will Have His Spirit to be with us and Return to live with Him"
Explain that Heavenly Father is only bound to keep his promise, if we keep our promise. Explain that Heavenly Father knew that we would make mistakes after we were baptized. So he wanted to provide us with a way to renew our covenant. We are able to repent and be forgiven of our sins and each Sunday we have to opportunity to renew our covenants with our Heavenly Father as we partake of the Sacrament. Show the primary children the week's theme poster and invite them to repeat, "When I take the sacrament I renew my baptismal covenants"
Explain to the primary children that the sacrament is a very sacred ordinance, just like a baptism is. Before we take the sacrament we should be thinking about the covenants we are about to renew with our Heavenly Father. Explain to the primary children that before we partake of the sacrament there are some special prayers that are said. In them we promise certain things with Heavenly Father and Heavenly gives us a promise, renewing our baptismal covenant. On the board place the paper pieces of bread and the cups on water. 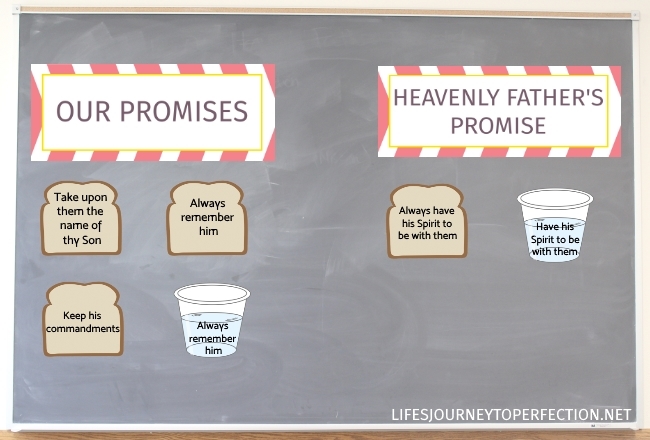 Also place, the signs "Our Promises" and "Heavenly Father's Promise" on the board. Invite a primary child to come up and pick a bread or water. Invite them to read the promise. Invite the primary to decide if it is a promise they are renewing with Heavenly Father or if it is Heavenly Father's promise. 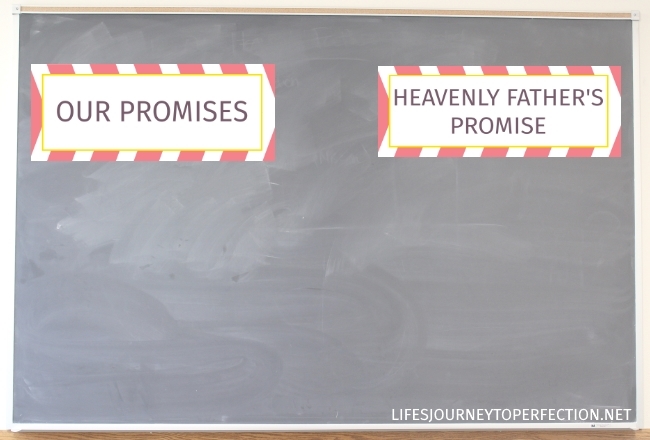 Invite them to place it under the sign it goes with & discuss the promise with the primary. Continue with each of the promises. Close by sharing your testimony of the sacrament and renewing baptismal covenants. Hi! Thanks for all you do. It makes my calling a joy! Quick question - what are the pieces of bread and sacrament cups that are blank for? I think it is for the back side, so it looks like bread/water on both sides. I'm also curious to know if I'm missing something with the blank ones? Your ideas are always so cute! Before planning my Sharing Time I look at a few different websites, but I end up using your idea every time! Thank you, thank you, thank you! Great lesson - thank you so much!I love it! Thank you Kim! I use your sharing time ideas every time I am in charge and they are always wonderful! I appreciate your hard work very much!!! Thank you for sharing your creativity. You have such a talent for these lesson guides and printables! "Wow, this file is really popular! Some tools might be unavailable until the crowd clears. (Try again) (Dismiss)"
I tried again the next morning and its still bogged down. So when I enter this into my address bar it now works! Hope this helps somebody else and thank you so much for helping us with sharing time! That's a quite good concept by the way. The church loan in USA types serves church financially bu giving it financial security. As a church loan lender, Griffin church Loans is the best. Thank you so much for the effort you put into providing great ideas and free printables!